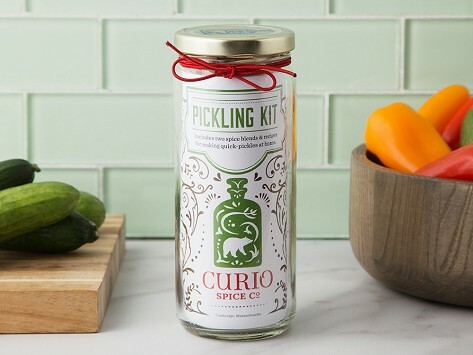 DIY pickles are easy (and oh-so tasty) with the jarred pickling kit from Curio Spice Co. A Moroccan blend and Madagascar blend and recipes are included to pickle veggies with globally-inspired flavors. The spices are directly sourced from farms and growers to ensure freshness and purity. Includes enough spices to make four jars-worth, and recipes to get you started. Dimensions: 6.5" x 2.5" x 2.5"